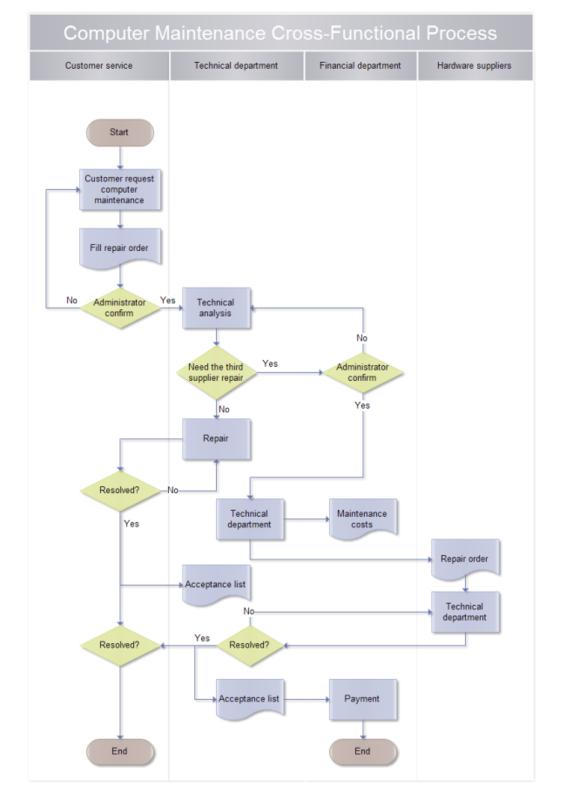 Description: A free customizable computer maintenance cross-functional process template is provided to download and print. Quickly get a head-start when creating your own computer maintenance cross-functional process. From the beginning to the end, every step has been clearly displayed, divided for each responsible department.